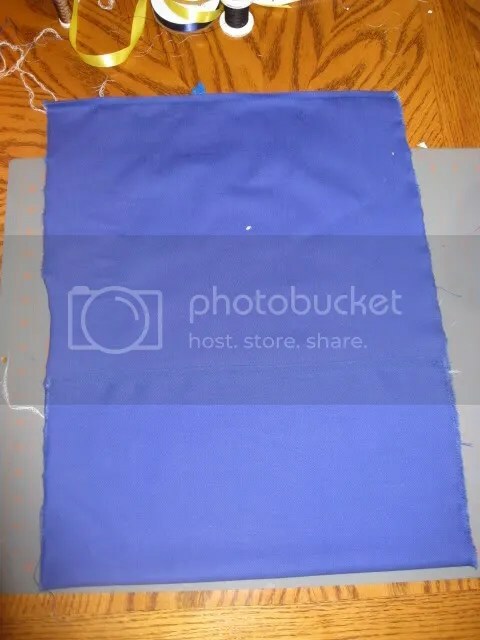 One of the teachers asked if I would help her with a project: she wanted pockets on the backs of her chairs to the kids could keep their dry erase boards in there. I figured it was pretty easy to figure out and I was right. Here’s how I did it. Start with a chair, measuring tape or a ruler, fabric and thread. I would use heavy duty fabric that is the same on both sides. My teacher bought bright denim that is heavy weight and cute for first graders. I also bought a denim needle for my machine and heavy duty thread. Now it’s time to measure. 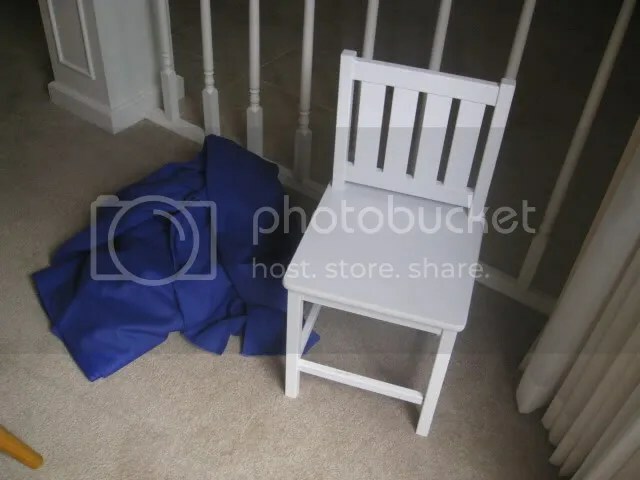 You need to measure the width of the chair back, the height of the chair back and how high you need the pocket to come to hold what you want to put in it. 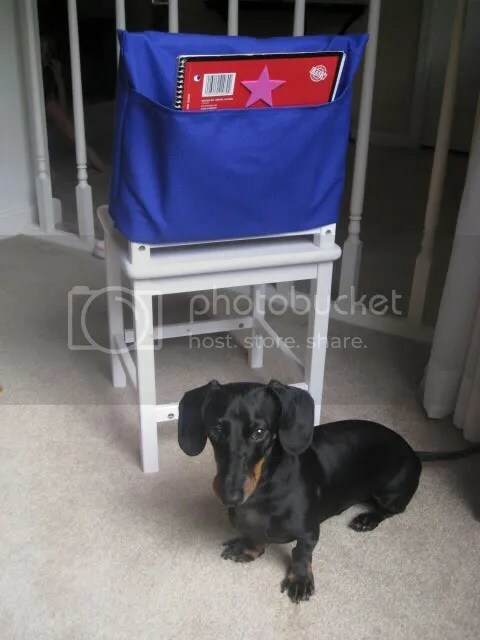 It the chair is narrow at the top, measure at the widest point so your pocket will fit. Once you have your measurements, take your width and add an inch to an inch and a half to allow it to fit. 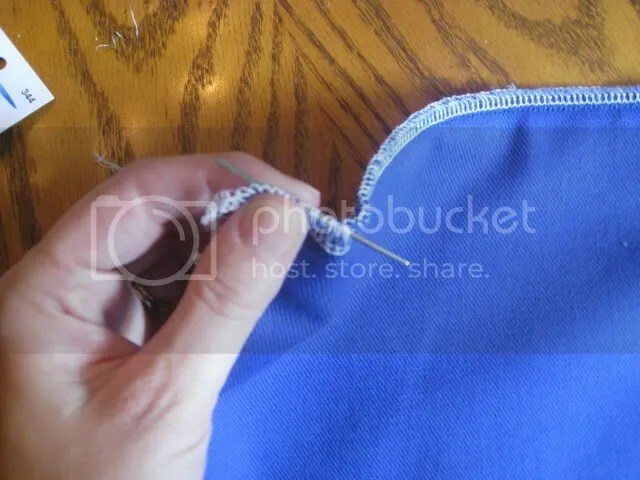 To your height, take your height of the chair back, multiply by two, add the measurement for the pocket and add an inch for the hem. That is your total length. 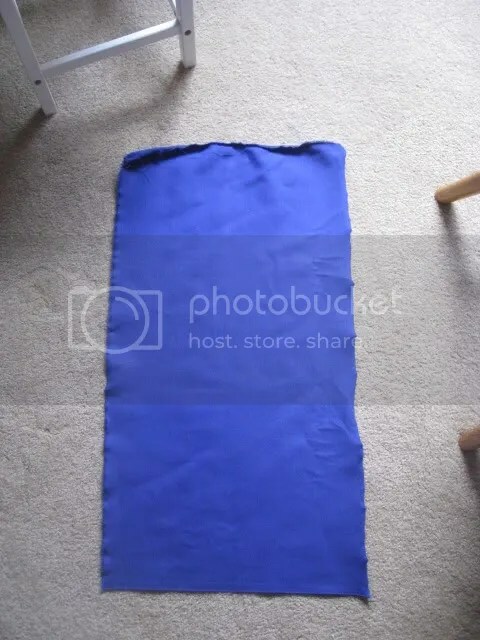 Cut out a rectangle to your measurements. Zig zag stitch or serge the short edges. Press a half inch hem on one short side. Flip over your fabric and press a half inch hem on the other short side. So you will have one hem on the “right” side of the fabric and one hem on the “wrong” side. 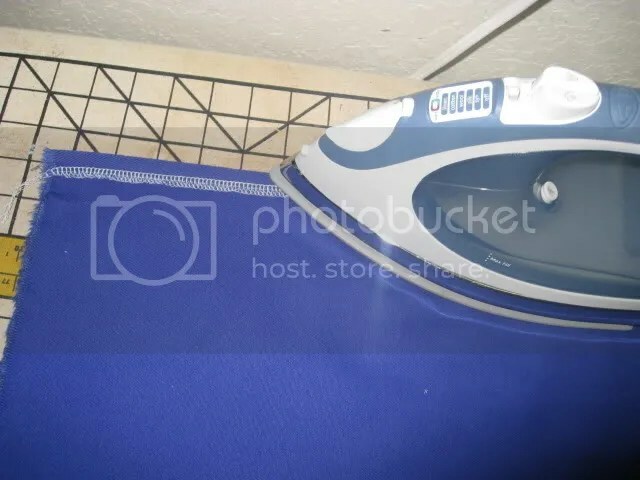 That’s why you need the fabric to look the same on both sides. Stitch the hem. Take your rectangle and flip up one end to make your pocket, according to your measurement. I made an eight inch deep pocket. 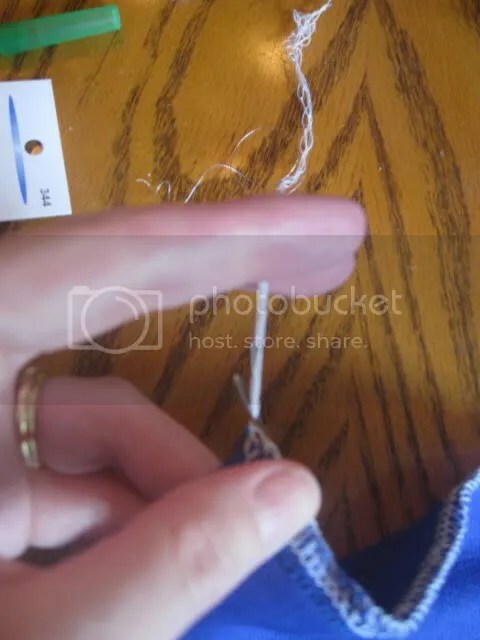 You want the hem to look nice, not inside out. 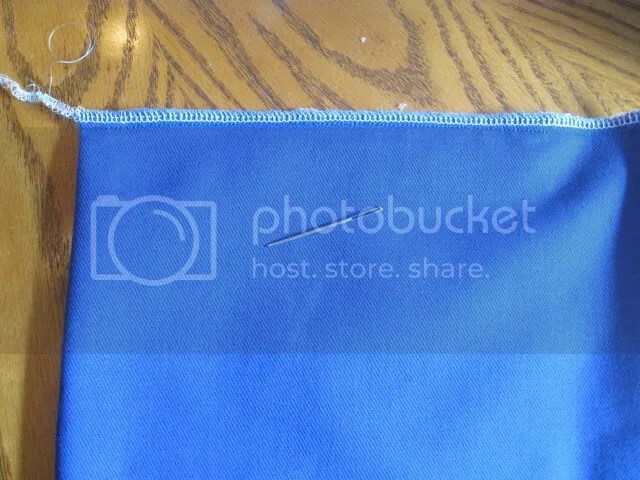 It’s hard to tell in the picture, but the serged edge is on the inside of the pocket. 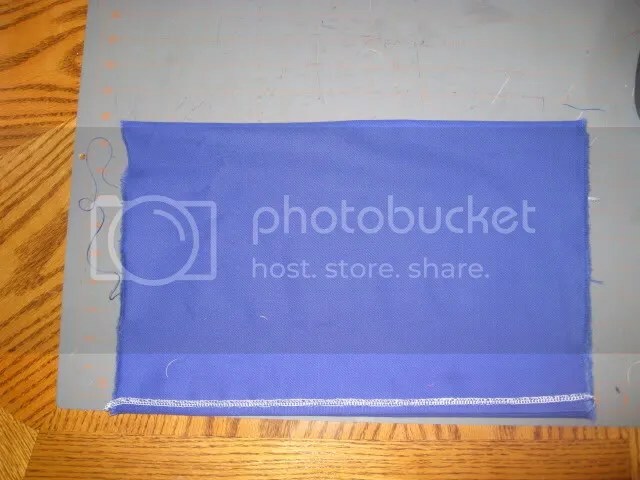 Then flip the top of your rectangle down so it meets the bottom of your pocket. You should have the “wrong” side of the hem facing you. 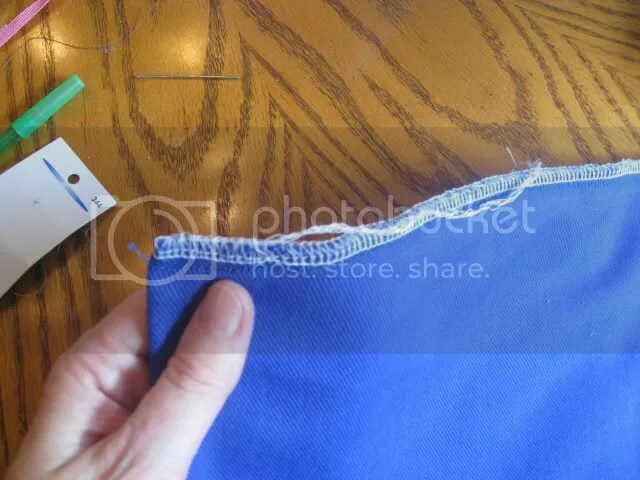 Now stitch the sides at a half or quarter inch seam. Zig zag or serge the edges. I “bury” the tails when I serge. You need an embroidery needle to do this. 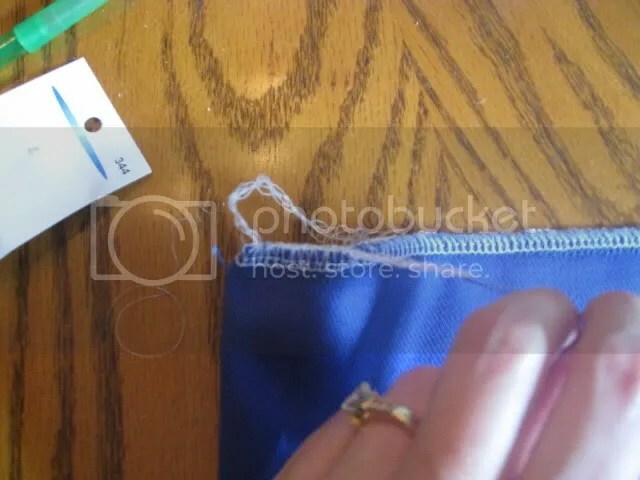 Run the needle through the last few stitches of your serging, eye end first. Hold on to the other end and don’t lose it. I’m not holding it because I am holding the camera but really hold it! 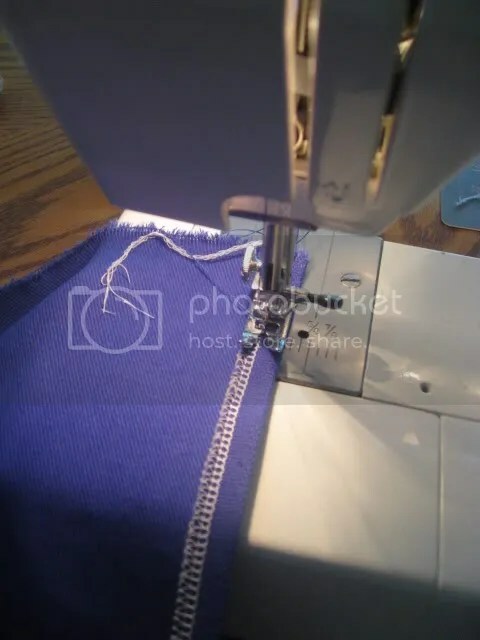 Pull the “tail” tight and thread it through the needle, being careful not to pull the end of the needle out of the serger stitches. Pull the needle back through the stitches, with the tail following. Pull out the needle and the tail is buried in the stitches. Trim and do that for the other tails. Turn it right side out and put on your chair. If you have a helper, he will admire your work! Now make 19 more! It won’t take you as long as the first one!